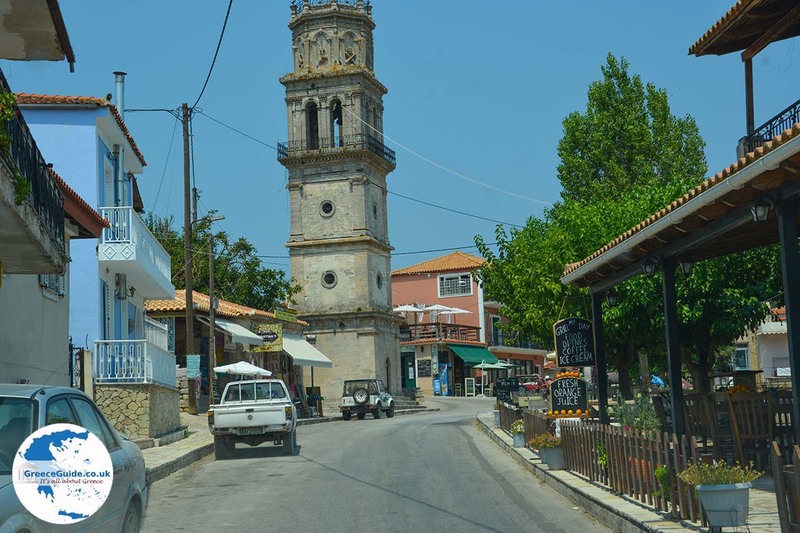 Kiliomenos. 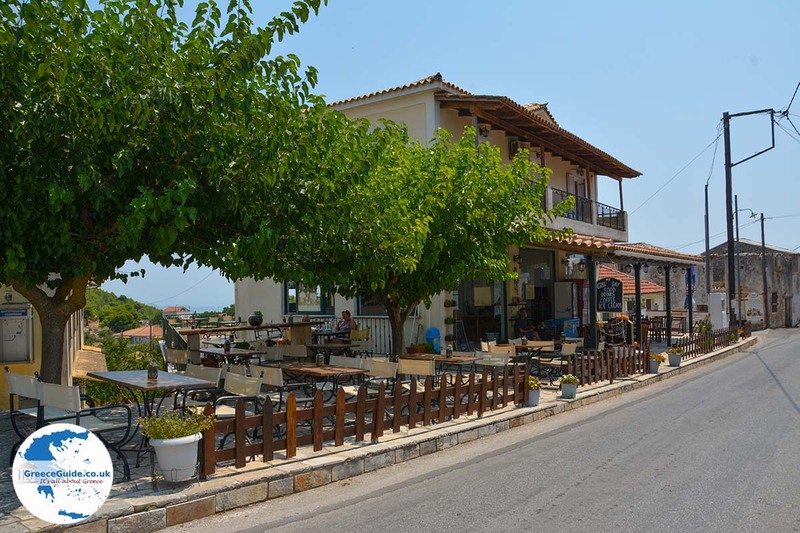 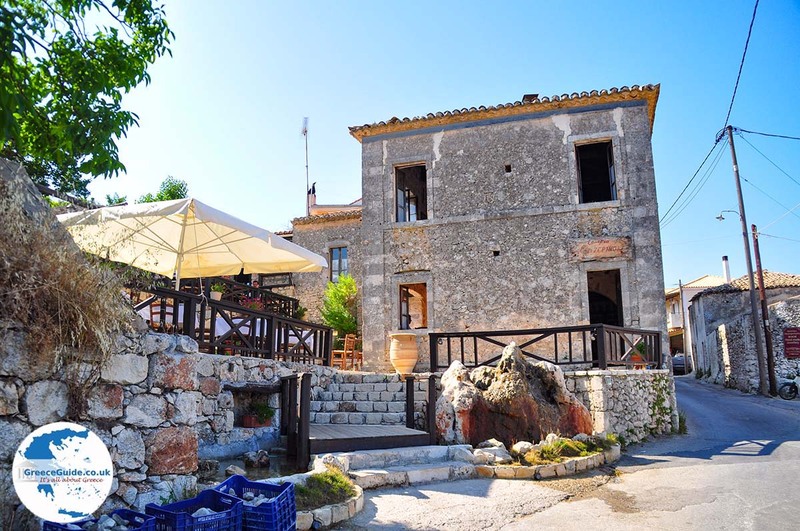 Kiliomenos is mountain village, west of Macherado at 480 meters above the sea level, 17 kilometres from Zakynthos town. 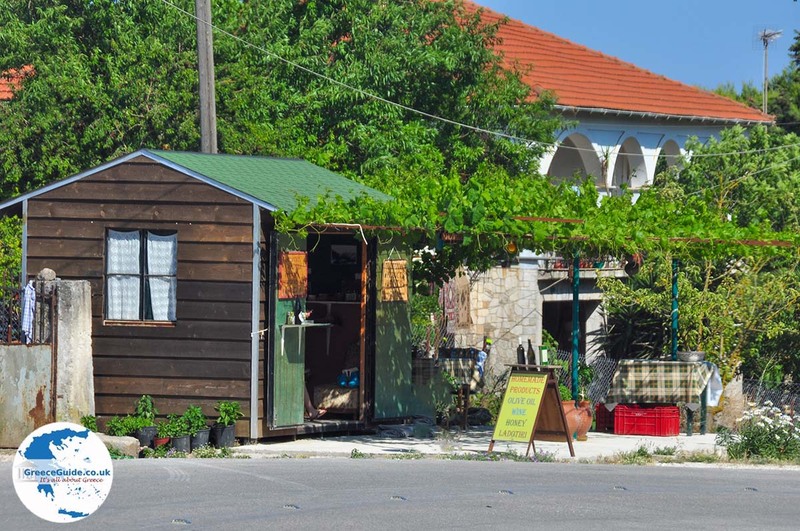 In the village live 500 permanent residents who mainly are engaged in stock breading and agriculture. 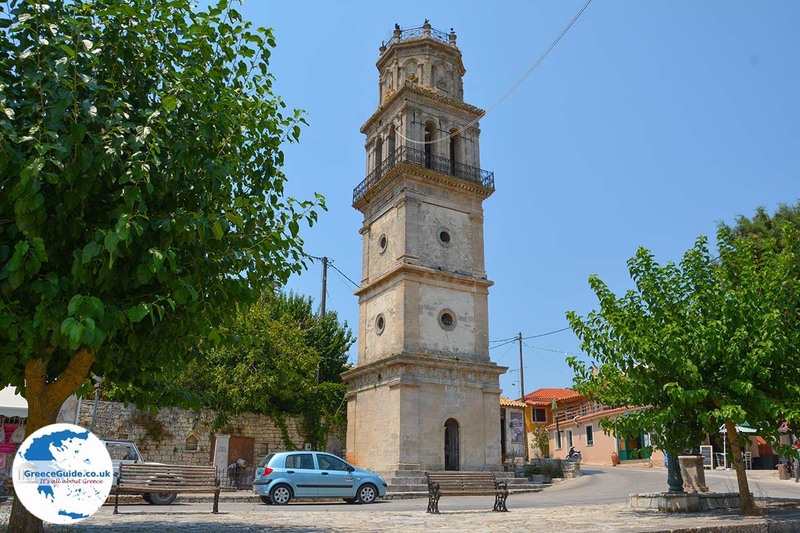 Here in Kiliomenos is the church of Agios Nikolaos located, famous because of its special bell tower. 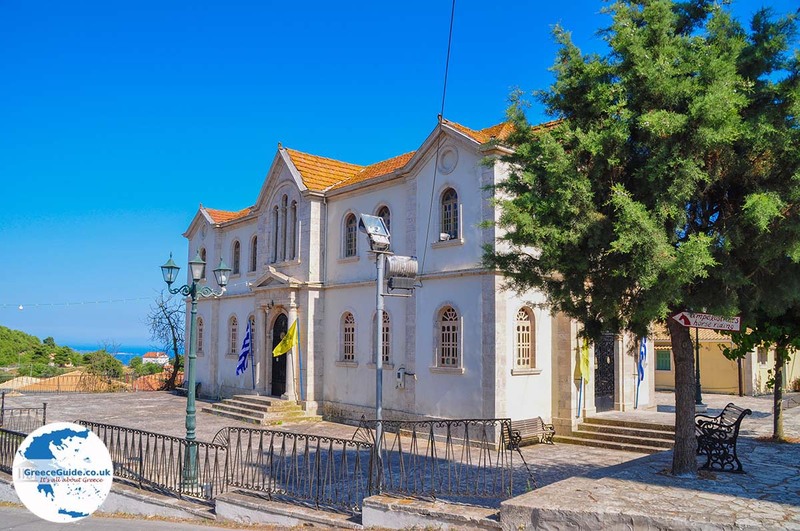 Another church in the village with a distinctive architecture is the church "Kyria ton Aggelon", which literally means "the woman of Angels". 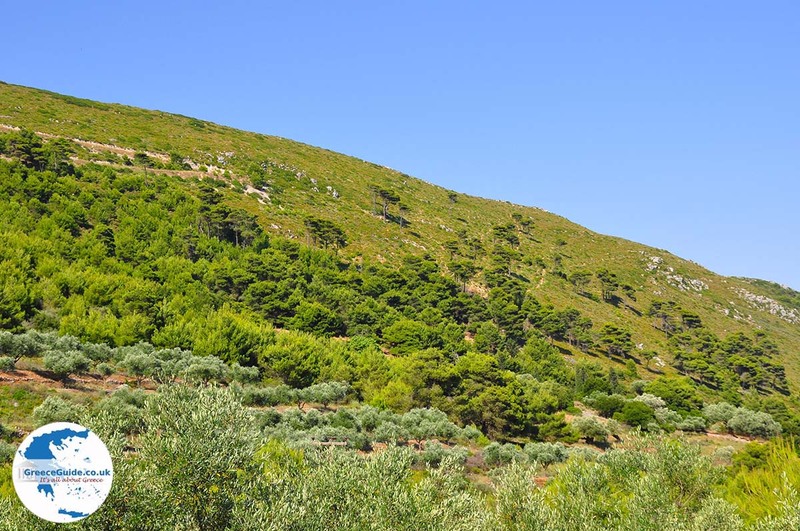 In Kiliomenos is a female agricultural cooperation called ‘Oi Melissiotisses’. 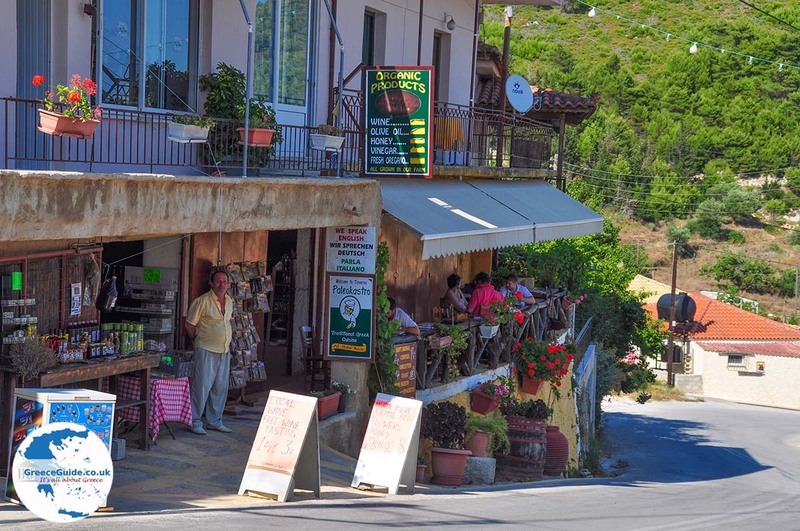 The products they prepare are with local ingredients and based on traditional recipes. 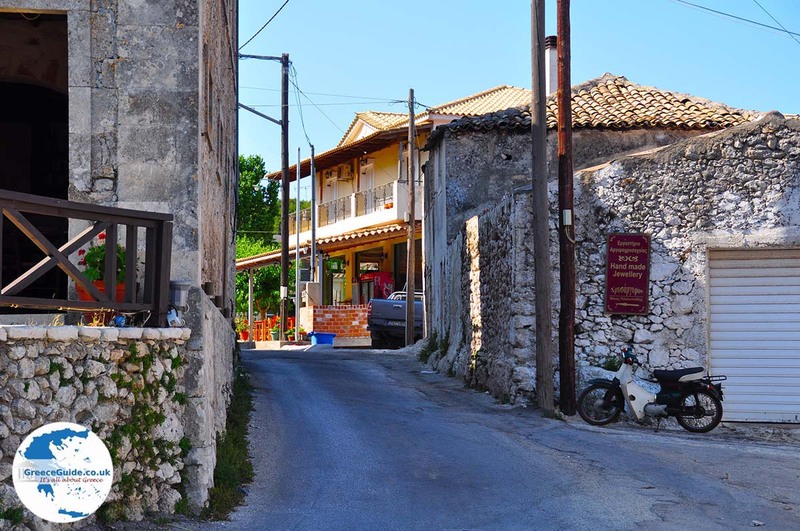 4 kilometres north of Kiliomenos, near a plateau, there is the monastery Yperagathos, founded in the 17th century. 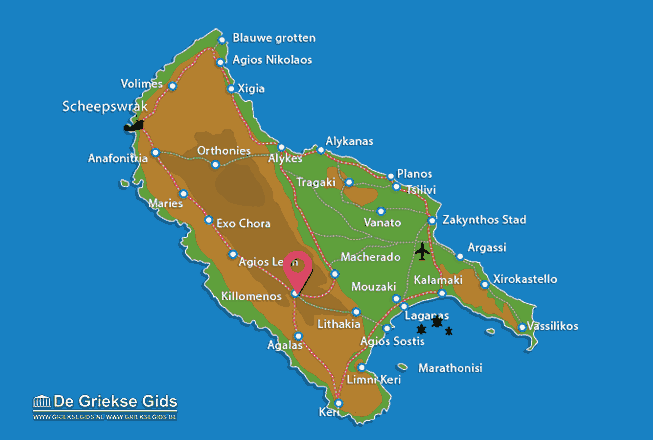 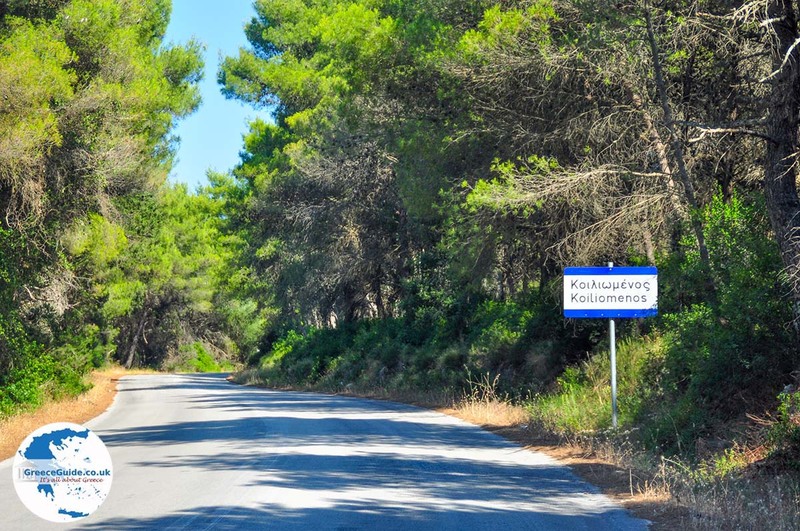 Zakynthos: Where on the map is Kiliomenos located?